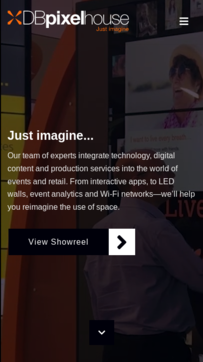 DBpixelhouse is a leading UK company that integrates technology, digital content and production services into the world of events and retail. The DBpixelhouse website is a high impact showcase of the services provided by the company. 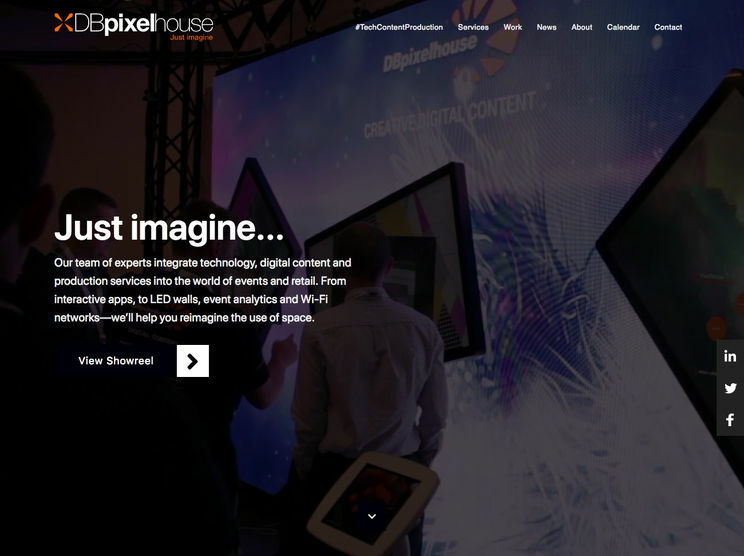 The site uses high quality images and videos to show visitors some of the high tech technical and content solutions that DBpixelhouse provides. The website includes a custom made online booking system allows clients to pre-order AV and IT equipment on a per show basis with payments taken in real time.